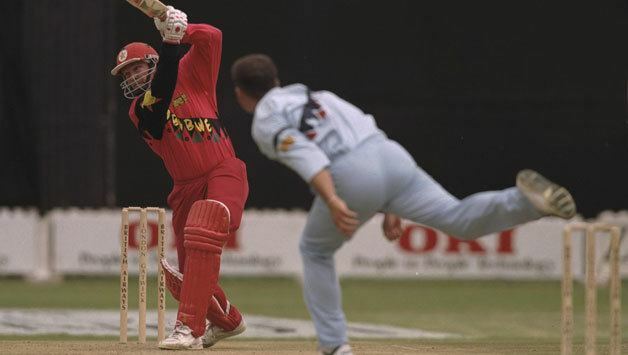 Andrew Christopher "Bundu" Waller (born 25 September 1959 in Salisbury - now Harare) is a former Zimbabwean cricket player who played two Tests and 39 One Day Internationals for Zimbabwe's national cricket team. After retiring from the game he took up the post of coach of the Namibian national team. In April 2009, Waller was named the coaching manager of Zimbabwe Cricket. In September 2009, he was named the head coach of Mid West Rhinos, one of the Zimbabwe's newly introduced five cricket franchises. His son Malcolm Waller plays for the Zimbabwean national team while his nephew, Nathan, represents Mashonaland Eagles.